It seems to me that here in Australia, we love nothing more than a good long weekend. So to celebrate, I am posting this recipe for coconut and passionfruit pancakes. Mostly because, if you can’t take some time making a leisurely breakfast on the long weekend, when can you? If you don’t like the thought of doing all the preparation and cooking in the morning, you can prepare the passionfruit syrup and the batter (up until the egg whites stage) the night before. Before whipping up the egg whites and adding them to the mixture, just make sure the batter has been out of the fridge for a little bit. 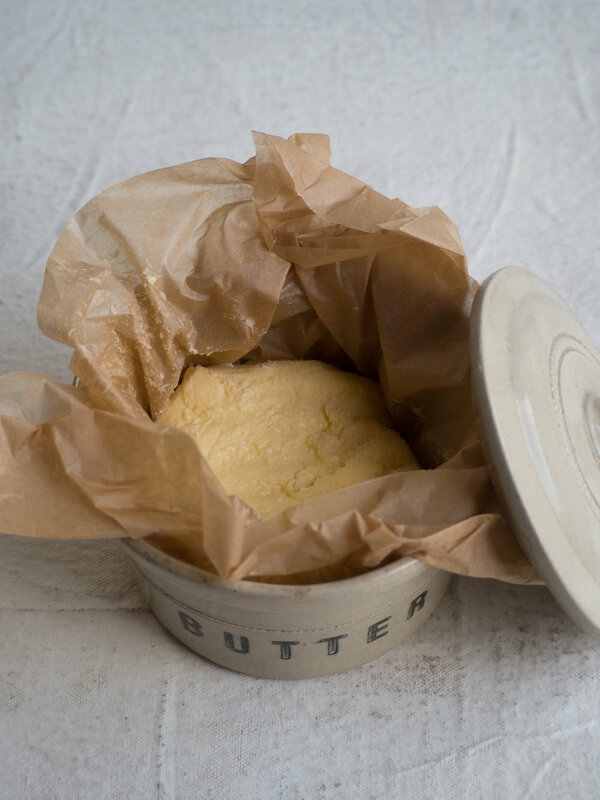 This recipe comes from Bill Granger. I have consciously attempted to lessen the amount of his recipes that I make and blog about on here. At one stage, a few months ago, I had made so many of his recipes from various books, that it was going to look like I wasn’t capable of doing anything else. While I think that is a compliment to Bill, I thought that variety was also probably a good idea. I went about making these pancakes, firstly because I had frozen so much passionfruit pulp it would really be ridiculous not to use it, and I had been following the hype surrounding Bill’s new restaurant opening in Bondi. I figured if I couldn’t get to Bondi to eat at his restaurant, I would just have to make a recipe of his myself. Luckily for me, a week or so after making these pancakes, I got to visit bills in Bondi. I absolutely loved it. There were so many great options to chose from on the lunch and drinks menu, I had real difficulty making a decision. It is definitely a must visit if you are in Bondi or nearby. To make the passionfruit syrup, mix the sugar and pulp in a saucepan. Place on a medium heat and bring to the boil, stirring occasionally. Reduce the heat and simmer for ten minutes. Remove from the heat, and set aside to cool until needed. To make the pancakes, combine the flour, baking powder, sugar, salt and coconut in a bowl. In another bowl, combine the egg yolks, coconut milk and milk. Whisk until combined. Add this mixture, and the butter, to the flour and mix lightly until just combined. 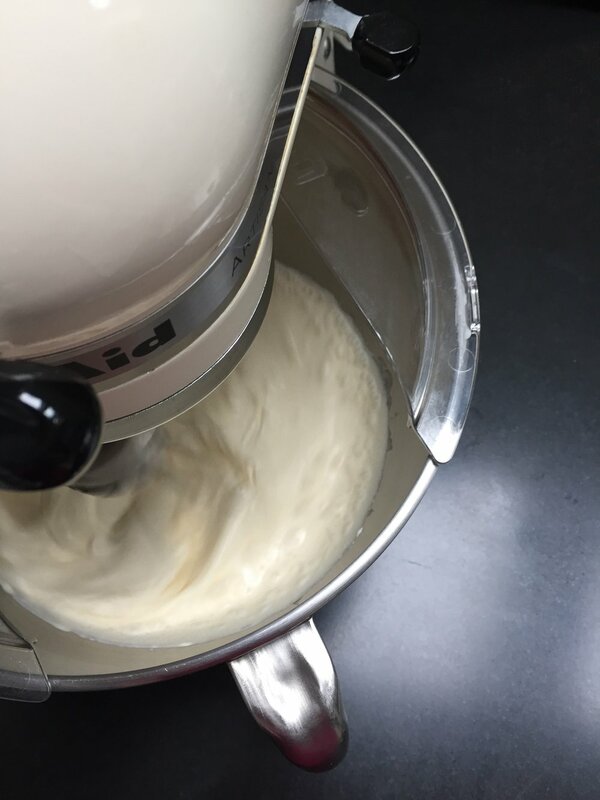 In the bowl of a electric mixer, whisk the egg whites until they form stiff peaks. In two batches, gently fold the egg whites in to the batter. Using a large fry pan, heat some of the butter. To cook the pancakes, place heaped tablespoons of the batter, on to the pan and cook for about two minutes a side. The first side will be cooked when the surface of the top side of the pancake has formed small bubbles. Don’t overcrowd your pan with pancakes. If you can only do a couple at a time, turn the oven to a low heat and place cooked pancakes on a tray to keep warm. Serve pancakes with slices of banana and the passionfruit syrup. Original recipe from ‘Bills Open Kitchen’ by Bill Granger (2003, Murdoch Books), p. 23.
bills in Bondi can be found at 79 Hall St Bondi Beach, NSW. Originally Posted October 3, 2014.